Plumb Leak is a Durbanville, Cape Town, Western Cape based plumbing company providing professional water leak detection and general plumbing services to households and businesses using the latest technology to pinpoint and then fix plumbing leaks. We can fix any plumbing problem and our service is quick and efficient. We specialise in replacing geysers and solving plumbing emergencies. South Africa is a water stressed country in the grip of climate change. And Cape Town is not immune. The Western Cape’s water supply is limited and cannot keep pace with growth in the Metropolitan area and with its vibrant economy unless we do more to save water. Vulnerable to inconsistent weather patterns, frequent droughts and deteriorating water infrastructure, Capetonians will be faced with escalating water prices in the coming years that reflect the growing water supply crisis. Stepped water tariffs have been set to discourage excessive water consumption, and with escalating demand for drinking water and increases in the cost of processing and purifying water it has become too expensive to ignore water loss and leaking plumbing. 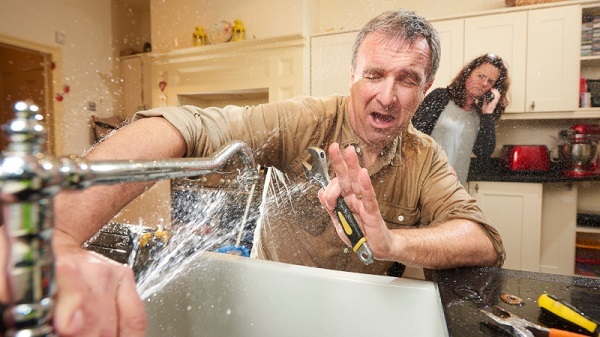 Water wastage is already a massive problem, and water leaks are costing you dearly. A leak can lead to massive increases in the homeowners water bill and can cause serious damage to the structure of the home. It is for this reason that specialised water leak detection is an essential and viable service, a very important industry in its own right, to the residential consumer and business alike. Leak detection has become a specialised professional service using sophisticated technologies such as electronically enhanced acoustic devices, tracer gas systems and thermal imaging cameras. Contact us, for more information about our plumbing services. Plumbing leaks can be elusive and destructive. Water leaks can cost you hundreds of Rands every day. Leak Detection Services technicians use the most technologically advanced non-invasive methods to pinpoint hidden water and sewer leaks. Commercial and Industrial water reticulation systems can be large and complex making leaks hard to find. Leak Detection Services are able to detect water leaks in any size and type of water pipe, and in pressurised and non-pressurised pipes.